CBD Feminine Wash by Cannabios is the perfect washing lotion for the particularly sensitive skin of the genital area. The special formula with hemp extract, Melaleuca Alternifolia leaf oil and Rosmarinus Officinalis leaf oil works very gently and naturally. Also suitable for daily washing of the whole body. 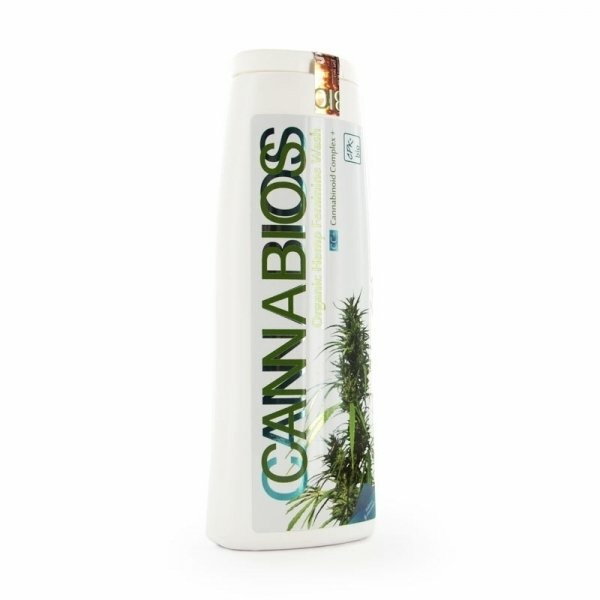 CBD Feminine Wash by Cannabios contains extract of organically grown hemp, Melaleuca Alternifolia leaf oil and Rosmarinus Officinalis leaf oil, making it the perfect washing lotion for the particularly sensitive skin of the private parts. The special formula works very gently and naturally. Rosmarinus Officinalis leaf oil has shown to act antimicrobial against numerous bacteria, yeasts and molds and improves the blood circulation of the skin. Melaleuca Alternifolia leaf oil is highly antiseptic, acts bactericidal and fungicidal and holds healing effects. Also suitable for daily washing of the whole body. Contains no THC.